I have never been a milk lover till the day the pregnancy test kit showed up positive. 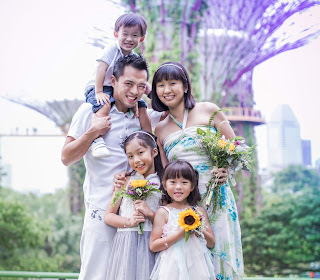 At my first checkup, I was advised by the midwife in Sweden to drink whole milk which will provide nutrients, calcium, Vitamin D and even help to prevent my kids from osteoporosis later in life. From then on, be it being a pregnant, lactating or just an ordinary mum, it has become my habit to drink a glass of milk every morning. 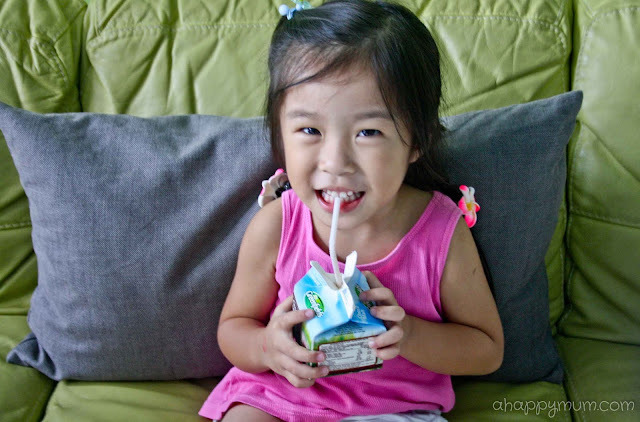 Since Angel turned two, she has also started trying out fresh milk and you might be surprised, there are certain brands that appeal to her and others which she would refuse after just one try. Kids, they really can talk, can tell and can taste, can't they? When it comes to milk, we only want the ones that are labelled as 'fresh'. If you have not noticed, not all brands of milk out there are fresh milk, just take a closer look when you are in the supermarket next time. Recently we tried a new brand of fresh, real milk and that is Greenfields. Out of the four product variants we tasted, Angel and I had one common favourite, can you guess it? Yes, it is the Chocolate Malt! We love that it has a strong, rich but not overpowering taste of chocolate, so much so that we can easily finish a 1-litre pack in just two days. A close second for me would be the High Calcium Low Fat milk which goes perfect with breakfast and gives a good start to my day. Greenfields' integrated dairy farm is based in Gunung Kawi, Malang, East Java and has over 6,000 Holstein cows which produce over 20 million litres of fresh milk each year. 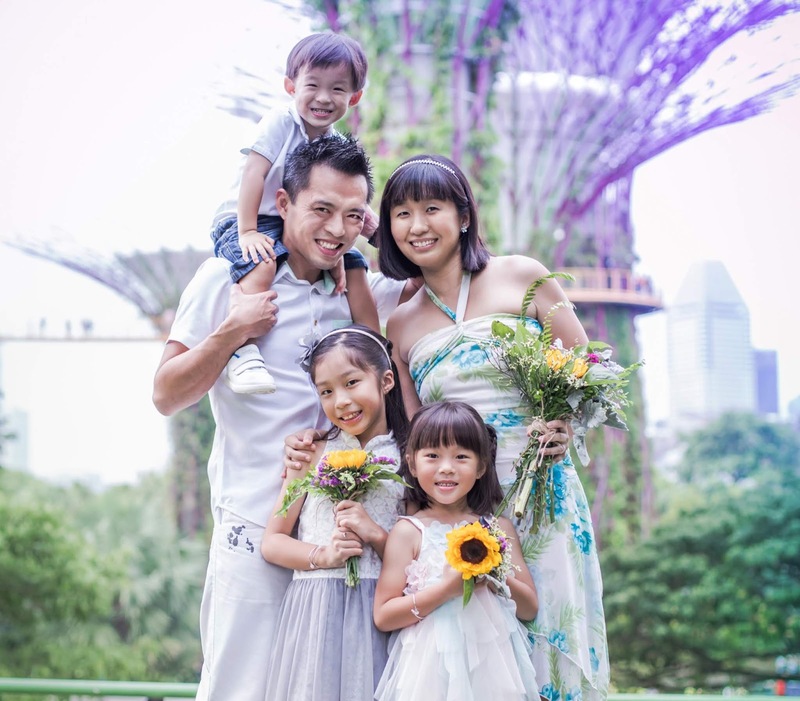 The milk is produced, pasteurised and packed within the dairy and it is single-pasteurised, ensuring optimal freshness. No additives, chemicals, antibiotics and hormones are included in the production - it's just all natural, real, honest milk. For the soon-to-be four-year-old girl, I like to let her drink fresh milk whenever possible. It is a relief that although we do not ban sweet, unhealthy beverages for her, she is just not interested and always says "No" to fizzy drinks. 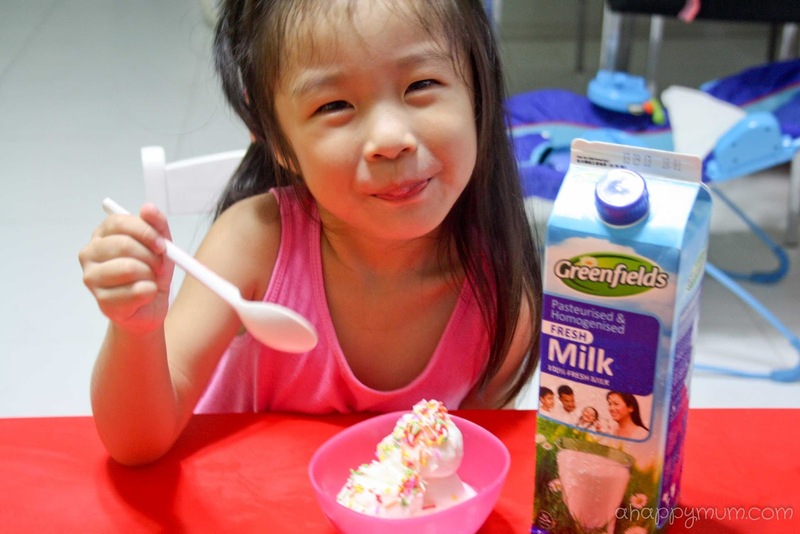 Instead, her favourite drinks are Milo and of course, fresh milk. You know the feeling of how you sometimes crave for ice cream on a hot, sunny day but there is none in your fridge? How you wish that a tub of ice cream would magically appear. 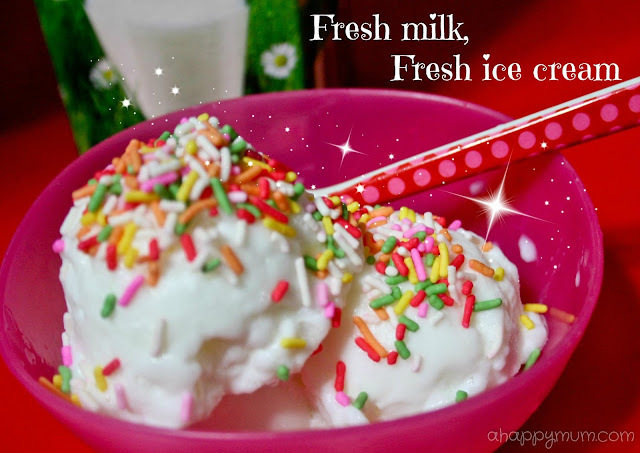 Well, recently, using our Greenfields milk in the fridge and some basic ingredients in the kitchen, we found a way to pull ice cream out of our hats. Seal the small bag tightly and place it in the big bag before sealing that too. Now, SHAKE! Yes, just shake the big bag vigorously for 8-10 minutes and you will see that the milk starts to harden. Scoop out, add in some toppings of your choice and serve immediately. Voila! It's like magic, isn't it? 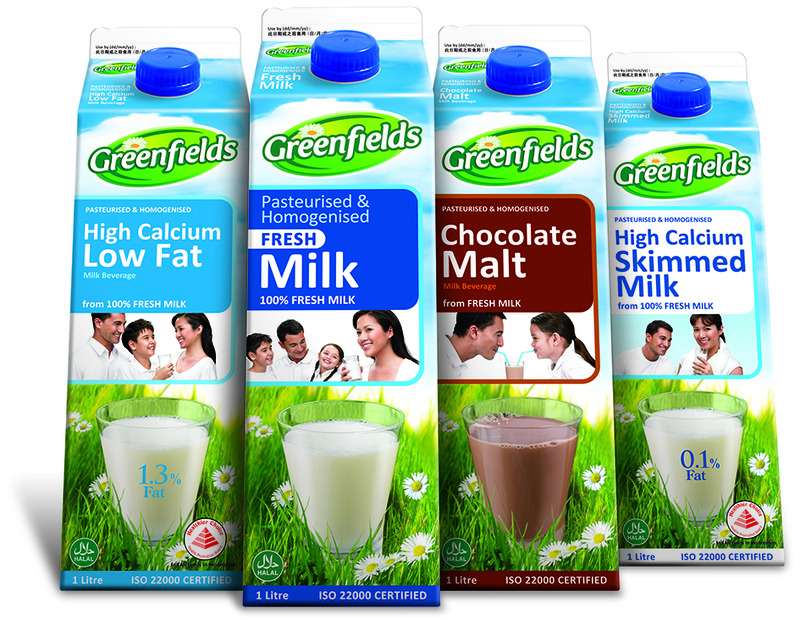 If you prefer chocolate ice cream, just use the Greenfields Chocolate Malt and add cocoa powder instead of vanilla. Oh, you wanna know why we can make ice cream this way? 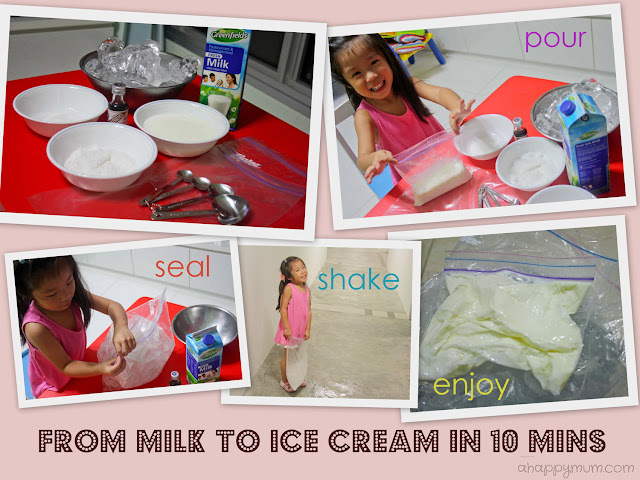 It is because salt lowers the freezing point of the ice cubes which in turn freezes the milk when the ice melts. That said, it is best to put on gloves when shaking the bag as it can get really cold and we don't like frostbites, do we? There, I would say this was definitely one of the easiest and healthiest ice cream we have ever made. I was initially worried that it would melt quickly and turn back into milk, but in the end, my girl was even faster in gobbling it up and slurping till the very last drop. Hooray! Now, we can have an ice cream treat any time we want! 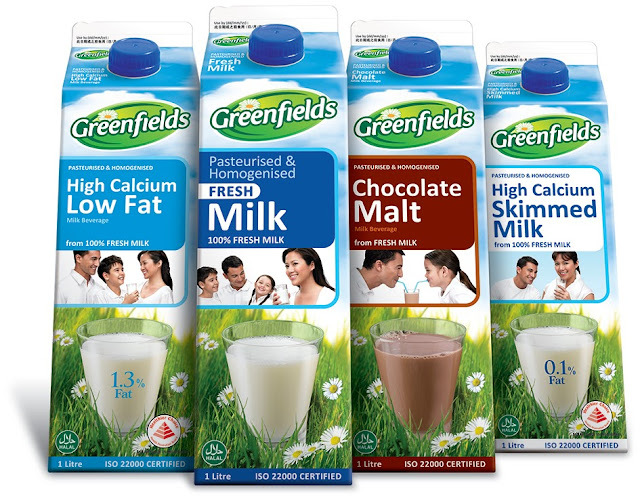 Greenfields Milk comes in variants of Fresh Milk, Chocolate Malt, High Calcium Low Fat (only 1.3% fat) and High Calcium Skimmed Milk (less than 0.1% fat). Available at most supermarkets at $5.95 for a 2-litre bottle (except at FairPrice), $3.25 for a 1-litre pack and $1.50 for a 200ml pack (at 7-Eleven stores only). 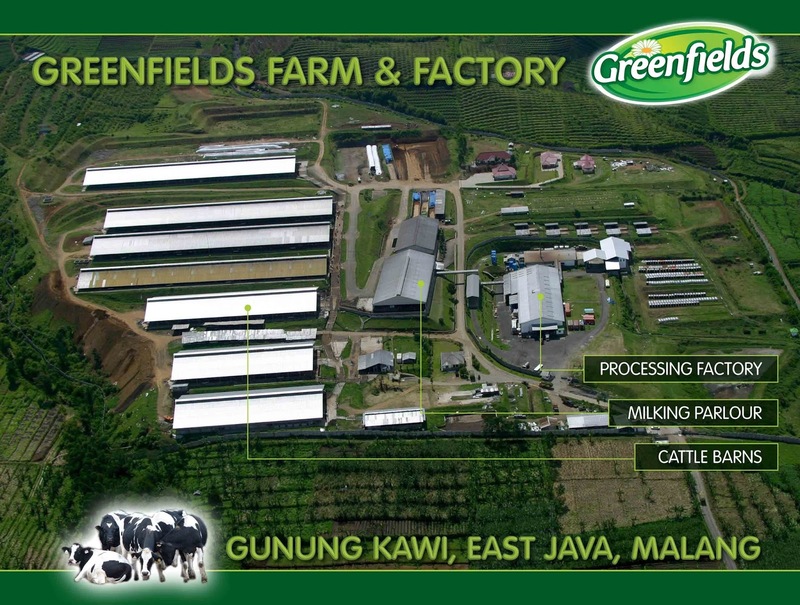 Disclosure: This is a sponsored conversation between Greenfields and A Happy Mum. All opinions, ice cream making 'tools' and milk lover kid belong to me. Great, Klessis! Have fun and I hope your girls will love it too! i was wondering how it was possible, and then you answered it. it's in the salt! great recipe! Yeah it's the salt! So easy but so magical too, simple science logic! Thanks Mabel! Wow, this is cool. Science in action! Yes Agy, I think a lot of kids know it too and do it for science experiments! =) I didn't know it till now! How interesting! Sounds too easy to be true! I haven't been to your space in a while and I LOVE the beautiful changes! How cool that you made ice cream! My kiddos would love that. I'm going to try this and make some magic for Sophie. Thanks for this cool recipe!